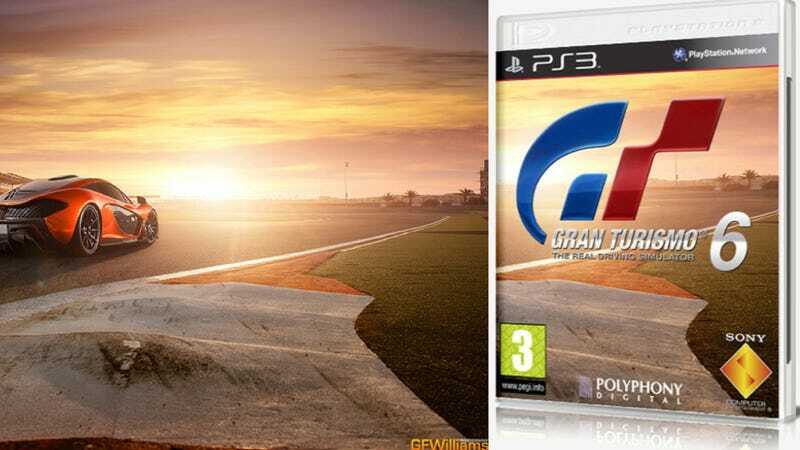 After news hit that Gran Turismo 6 may be released this November, one thing that seemed especially fishy was the box art that went with it. It was just a vague photo of a sunset at a race track without a car in sight. Not very convincing, right? And now we know where it comes from. Photographer and friend of the site GF Williams chimed in to say that the art on the cover is pretty clearly a photo he took of the McLaren P1 at the Bahrain International Circuit. I'm not even gonna say it "reportedly" or "appears to be" the same photo. The box is obviously a fake and Williams got ripped off. More importantly, why didn't they include a shot of the P1? The sunset is really nice, but the implication that McLaren's new hypercar might be in GT6 would have sent the hype level through the roof. Maybe whoever did this thought that would have been too obvious. In the end, they still didn't pull it off.